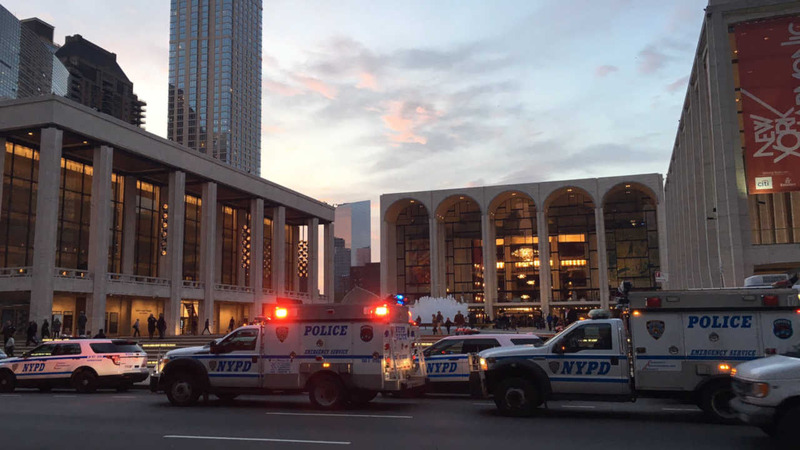 LINCOLN CENTER, Manhattan -- The Met Opera house was evacuated Saturday after officials say a man sprinkled an unknown substance into the orchestra. The FDNY and NYPD responded to Lincoln Center shortly after 5:20 p.m. Saturday during the performance of 'Guillaume Tell'. In a news conference Saturday, the NYPD said multiple witnesses told them that the man who sprinkled the substance was from out of town, and indicated that he wanted to sprinkle the ashes of his mentor during the performance. As a safety precaution, the Met canceled the remainder of the performance. In addition, Saturday night's performance of 'L'Italiana in Algeri' was also canceled. However, police later said that they do not believe the man had any criminal intent, and may not believe he has done anything wrong. No arrests were made. An audience member says the evacuation of the opera house was calm.